During an event in Brussels last year I met the young glasses-maker Ludovic Elens, who runs Lunetier Ludovic just off Place du Sablon. 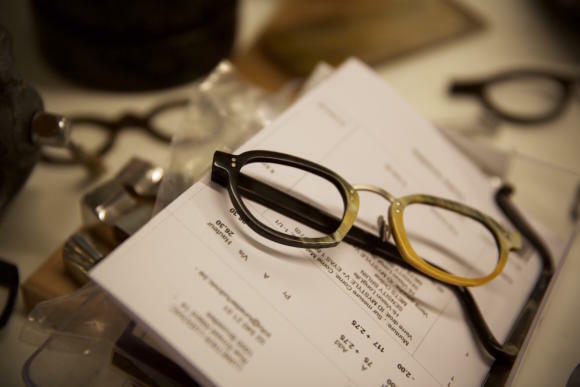 Ludovic is worth highlighting for many reasons, but most obviously because he is the only bespoke glasses-maker in Belgium, and has a particularly in-depth consultation and creation process. Ludovic’s first job was in a high-street glasses shop, but he disliked it so much they asked him to leave. “It was all about sales numbers, margins and volume,” Ludovic remembers. Disheartened, he went abroad, eventually spending a year living in Togo before he returned home. Again, he worked in a glasses shop - but this time at designer Hoet, which also did custom frames. 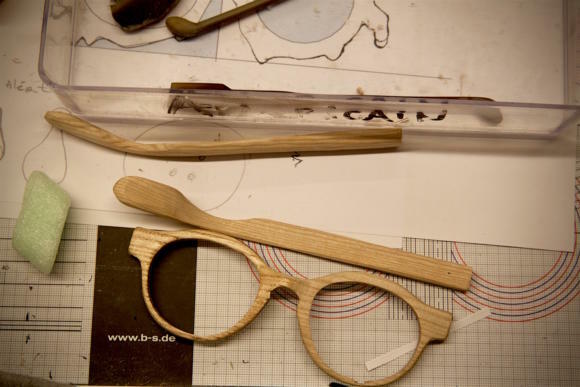 Ludovic asked his boss whether there was a glasses maker in Belgium they could use for full bespoke, but was told there wasn't one. He hunted around for a while, but couldn't find one. 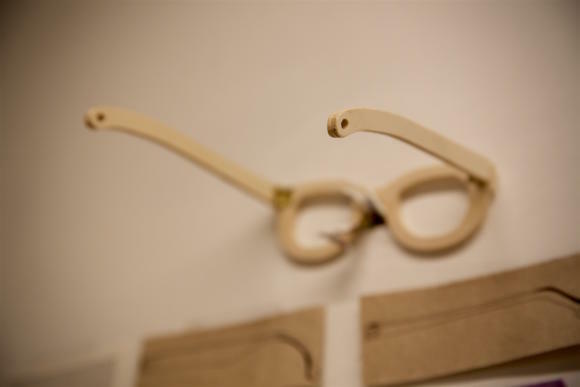 There, he trained in an informal school and moved between workshops, learning both how to make different types of frames and how to fit them to the face. 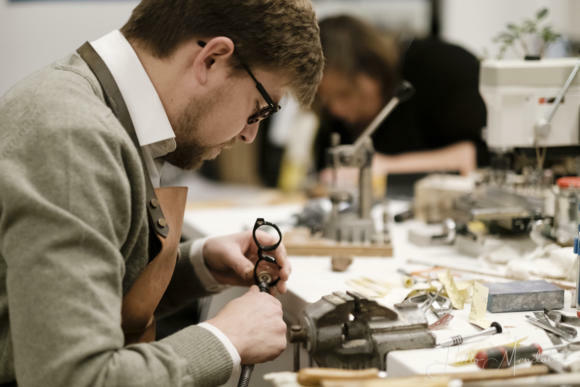 “These old men make for so many of the top French brands, and the have gold in their fingers - they really do,” says Ludovic. 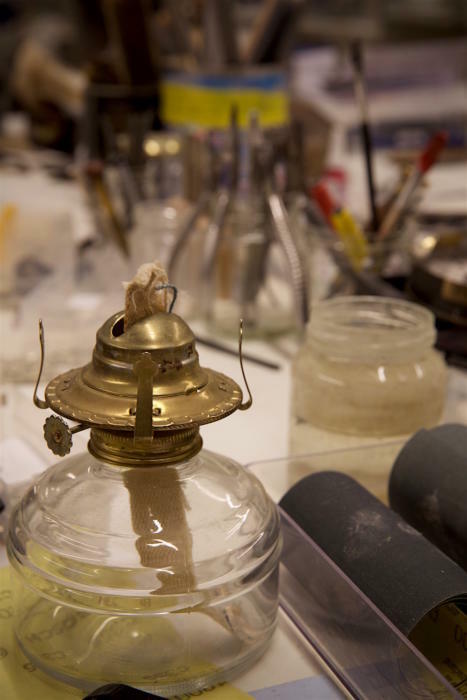 Traditionally, the French houses encouraged makers not to share knowledge. “But now they’re all 60 or 65 and don’t care any more - they want to pass it on,” says Ludovic. In January 2015, Ludovic quit his job and began a business plan for his own bespoke business. In September 2015 it opened (shown above) and the business plan quickly went out of the window. 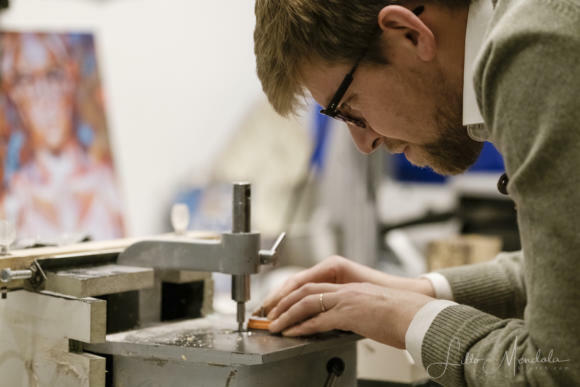 The volume of work has led to Ludovic taking on an employee just for bespoke, and for the ready-made taking a bit of a back seat. 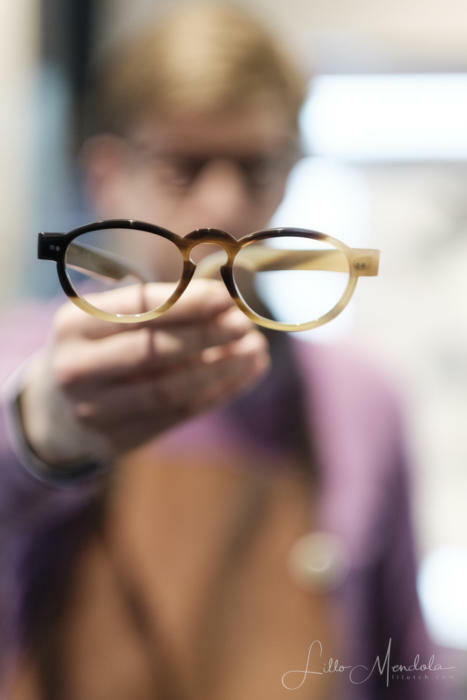 I can attest to the latter point, having picked up a beautiful pair of brown-and-gold metal frames from Japanese brand Eyevan when I visited Ludovic last. 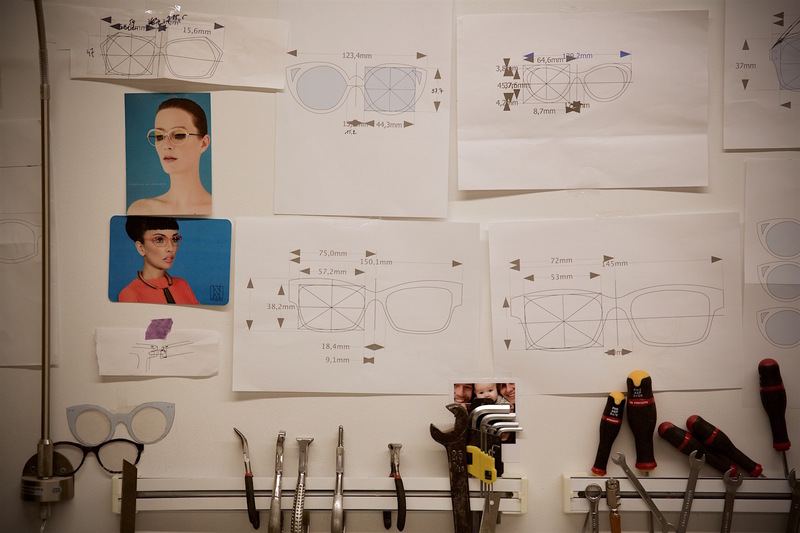 First there is the normal, initial consultation, where Ludovic and the customer discuss lifestyle, models of glasses, and measurements are taken. 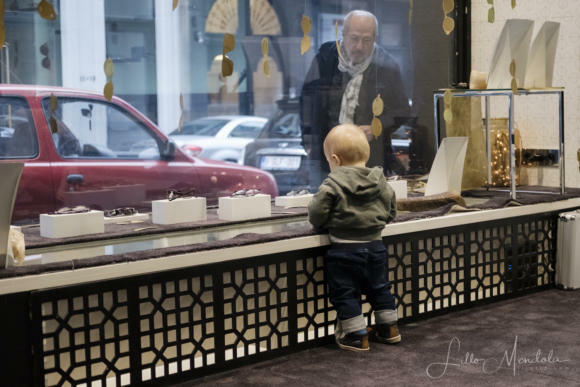 At the second appointment, Ludovic has six options to present to the customer. 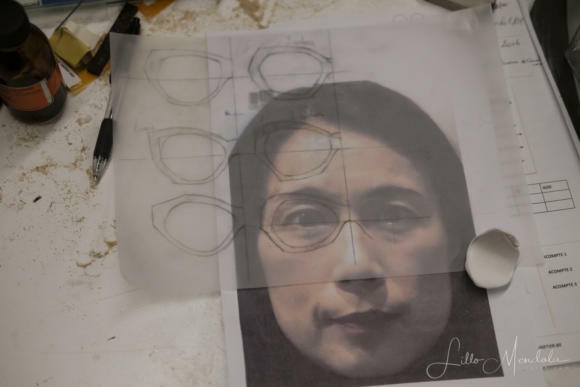 These have been sketched by hand, scanned into a CAD machine, and then printed onto cardboard. 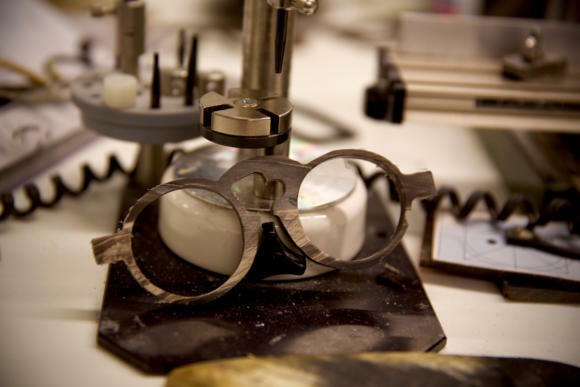 Once one is selected, a rough cut is made of the frame, and the customer comes in for a third appointment - downstairs in the basement workshop. My experience of having glasses made is that it is safer to start with an existing model and refine it - the margin for error is so small on glasses and it is very difficult to imagine or describe what you want. But I’ve never been through as involved a process as Ludovic’s, and certainly seeing more options helps. 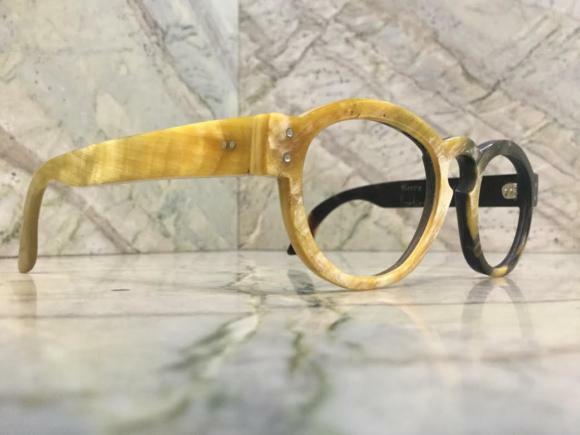 Ludovic’s prices also reflect that process - acetate starts at €800 and buffalo horn €1500, compared to General Eyewear (the most recently reviewed service) at £450 for acetate. Perhaps the latter would suit someone that wants fewer changes, as I often do, while Ludovic is particularly good for someone looking to be as creative as possible. On that point, Ludovic once made a pair for a man with one ear. You can see the resulting design on his blog here. 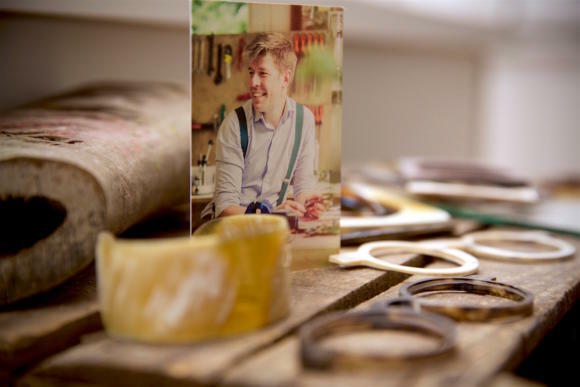 He also designs his own rivets (they can have letters cut into them…) and is the owner of a collection of cabinetry wood going back three generations - which he glues into multiple layers to make wooden frames (from €2500). 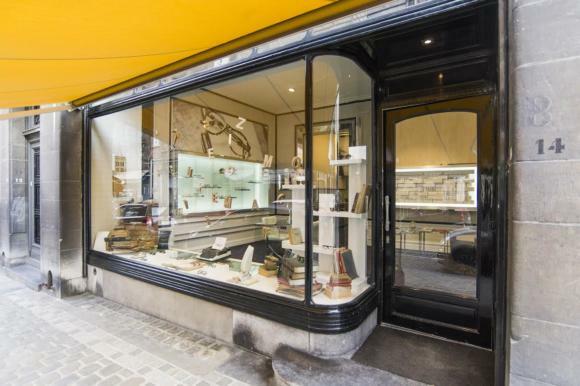 He also went back to France to learn how to make metal frames last year (part of the process requires heavy machinery, and has therefore to be done off site), and he restores silver frames he finds in the Sablon market. 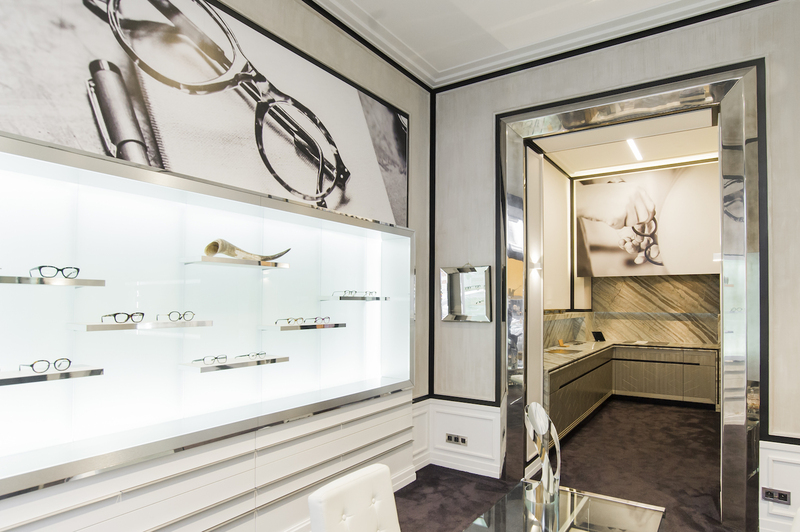 Ludovic is considering starting trunk shows, and has worked with customers abroad - doing appointments by video. But these are never quite as good as meeting in person. If you have any interest in glasses, it’s worth stopping by if you're in Brussels. You can follow the discussion on Ludovic Lunetier – bespoke glasses, Brussels by entering your email address in the box below. You will then receive an email every time a new comment is added. These will also contain a link to a page where you can stop the alerts, and remove all of your related data from the site. You could argue that if you’re considering anything bespoke, then you should start with glasses. After all, you wear them literally all your waking hours, day after day, for many years. Much more than any suit or shirt. 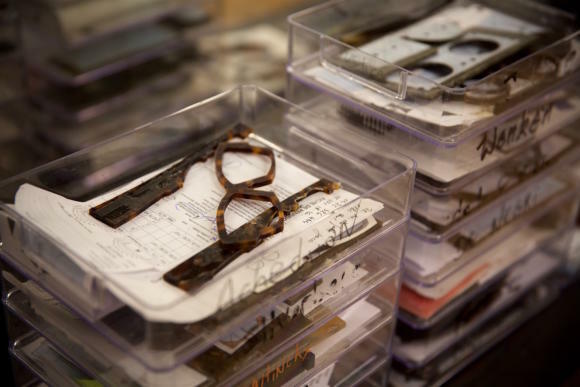 do they provide just the frame, or do they provide the glasses if you have a prescription? Excuse the ignorance but how do you get lenses if not from them for bespoke? Do high street opticians do lenses for absolutely any shaped frames? No, they can and do provide lenses, they are just not included in that cost. I have a pair of bespoke glasses from Ludovic. They are fabulous. Ludovic is a true artist. I highly recommend him. “(‘Lunetier’ is such a better word than ‘glasses maker’. I do wish there were an English equivalent…)”. That one word defines a whole craft, profession. Thanks you, Simon, for this post. 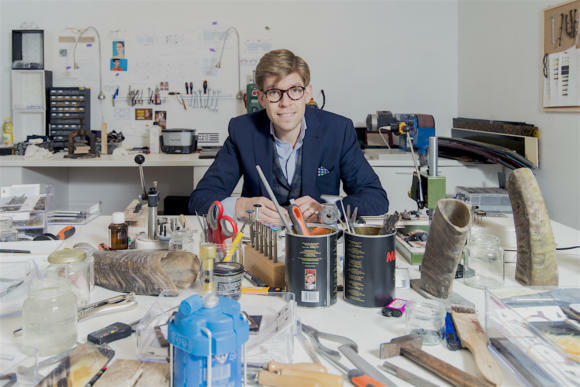 I have just begun my search for a bespoke sunglasses maker, and this article has appeared at just the right time for me. I met Ludovic shortly after he opened his shop when I was on holiday in Bruxelles a few years ago. It was a one man show then, but I was impressed with his taste and seriousness. He told me he has spent a few years at Theo before starting his own business. I just returned to Bruxelles in April 2017. Happily his business is growing so that he has hired another chap. It is good to see such hard work and vision being rewarded. Thank you Mr Crompton for your article. Thank you Mr Kaplan for your comment, we did a great job together. Hope your sunglasses are as good as your optical glasses. And Mr Graham, it’s always a pleasure to see you around.